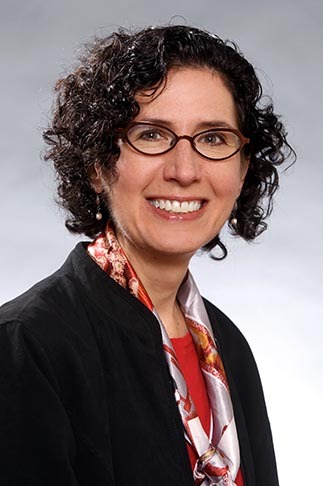 Previously Sharon Stoerger was director of the Information Technology and Informatics (ITI) program, assistant teaching professor, and co-founder of Women in Information Technology and Informatics at Rutgers. Her teaching experience ranges from gender and computerization (STEM) to instructional technologies to management in information organizations. Sharon Stoerger's research areas of interest include computer-mediated communication, social informatics, and educational uses of social technologies including virtual worlds. She is also interested in online and blended teaching approaches. She has presented her work on educational uses of technology at a number of national and international conferences including EDUCAUSE, New Media Consortium, the eLearning Forum Asia, and Online EDUCA Berlin. She has also written several articles and book chapters on the educational uses of social media, virtual worlds, and other emerging technologies. Stoerger, S., & Kreiger, D. (2016). Transforming a large-lecture course into an active, engaging, and collaborative learning environment. Education for Information, 32, 11- 26. Herring, S. C., & Stoerger, S. (2014). Gender and (a)nonymity in computer-mediated communication. In J. Holmes, M. Meyerhoff, & S. Ehrlich (Eds. ), Handbook of language and gender, 2nd edition. Hoboken, NJ: Wiley-Blackwell Publishing. Stoerger, S. (2013). Using video to foster presence in an online course. In E. Smyth & John Volker (Eds. ), Enhancing instruction with visual media: Utilizing video and lecture capture. Hershey, PA: IGI Global. Stoerger, S. (2013). Becoming a digital nomad: Transforming education through mobile devices. In Z. L. Berge & L. Y. Muilenburg (Eds. ), Handbook of mobile learning. Florence, KY: Routledge. Stoerger, S. (2012). Making connections: How student use social media to create personal connections. In S. Wang & S. Yang (Eds. ), Cases on formal, non-formal, and informal online learning: Opportunities and practices (pp. 1-18). Hershey, PA: IGI Global.